LIFESTYLE // I've started a scrapbook! 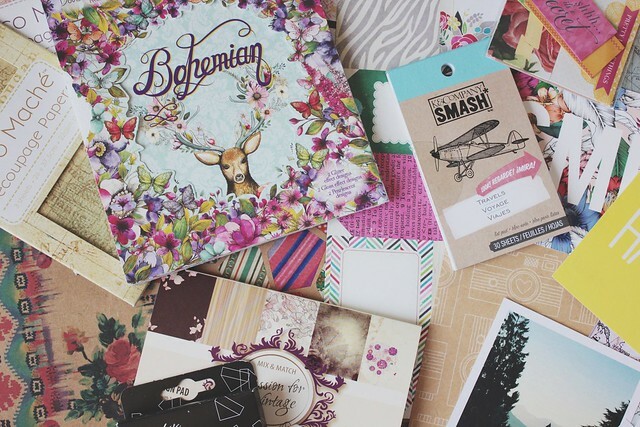 I have been looking on Pinterest and been in awe over creative people and their beautiful scrapbooks. 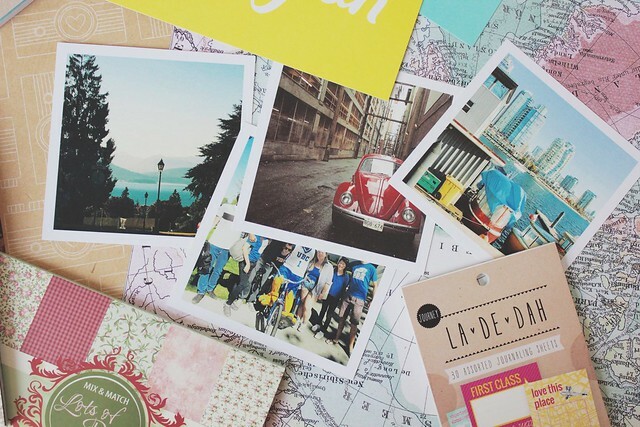 Obviously, the majority of people who post Pinterest photos are scrapbooking geniuses who have massive supplies but it has inspired me like crazy. Of course, I then ran to Hobbycraft and bought half of the store, not realizing it would take over a week for my photos to arrive. I got there eventually! I originally wanted to get either a La De Dah or Smash book (due to Project life being crazy expensive!) but with Hobbycraft having 8x8 scrapbooks for just £2.50 I could not resist! I do think I'll pick one up (or maybe one from Hobbycraft) for my trip to Australia though. 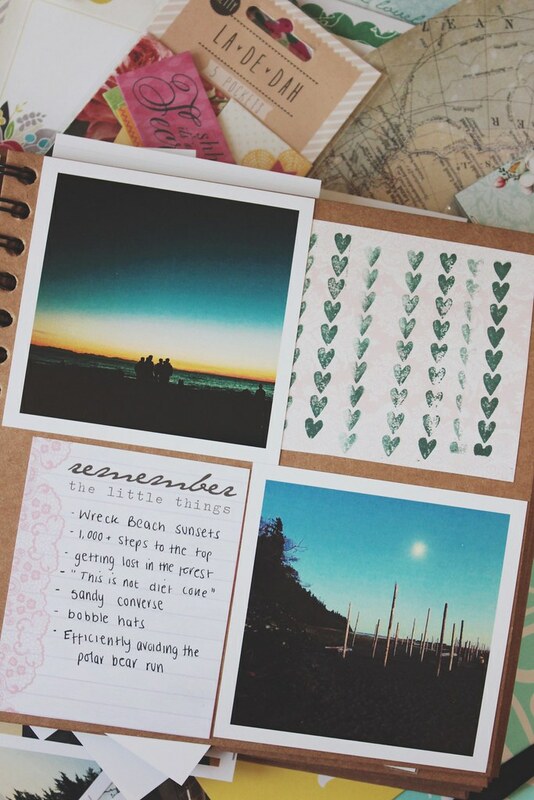 I'd really love to do a Travel Journal as I go along. It just seems like such a fab idea. I still picked up quite a few bits and pieces by Smash and La De Dah because they were just adorable and super good value for money. I'm definitely trying to make this scrapbook more of an art journal - there are so many things that I want to remember for years to come. I got 48 square photos and some photo strips from Polargram and I am really pleased with the result. They are slightly cheaper than similar companies and they did both squares and photo strips (which many don't!). I just uploaded my photos to Instagram and loaded them up via Polargram's website. Even better, they allow you to access your friend's Insta accounts so you can easily add that extra photo that you could not be bothered to repost. I also picked up lots of bits and pieces from Paperchase. If I didn't say I was obsessed I would be lying. 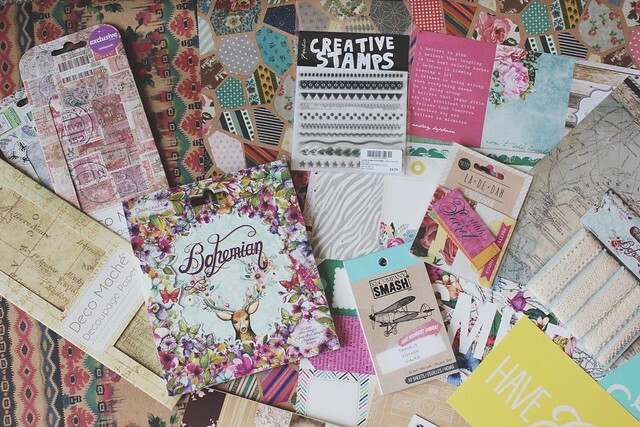 They have plenty of pretty wrapping paper which makes for brilliant and customizable backgrounds. 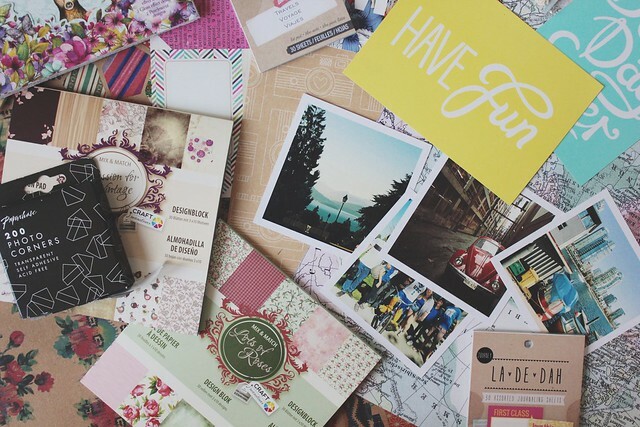 Their postcards can be used for brilliant spare pages and and they actually have plenty of scrapbooks on sale themselves with brilliant bits and pieces to help make it that little bit more special. So that's the beginning of my scrapbook! 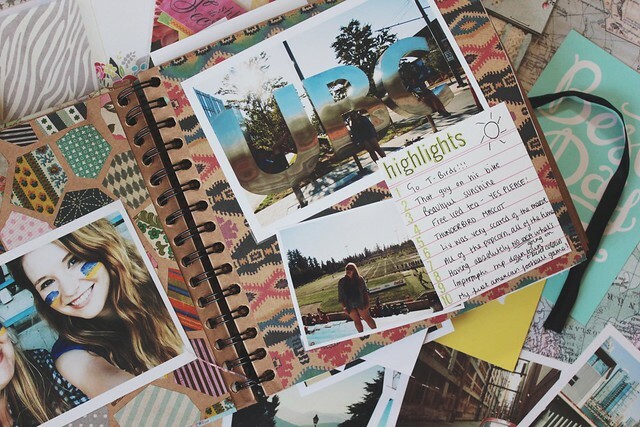 Have you got a scrapbook and have any tips and tricks? Let me know! Also, would you guys be interested in seeing how my scrapbook processes. I'm considering posting page updates if you guys want to see them! This is such a cute idea! Love what you've done so far! 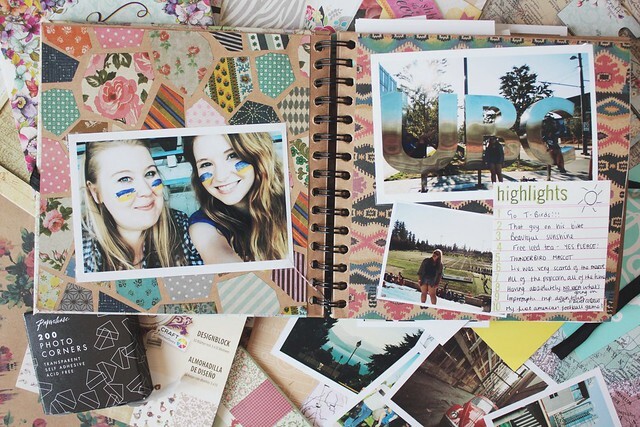 I'm really tempted to buy a couple of scrapbooks, just for general memories with friends and whatnot - like...it's cool having pictures on your phone, but also having a physical copy is just great to have. Yes, I'd definitely be interested in seeing how you get along with it - doing your Australia one as you go along is a good idea as well! I only do because it's the summer! Once uni starts again I'll have absolutely no time what-so-ever! Thank you so much! 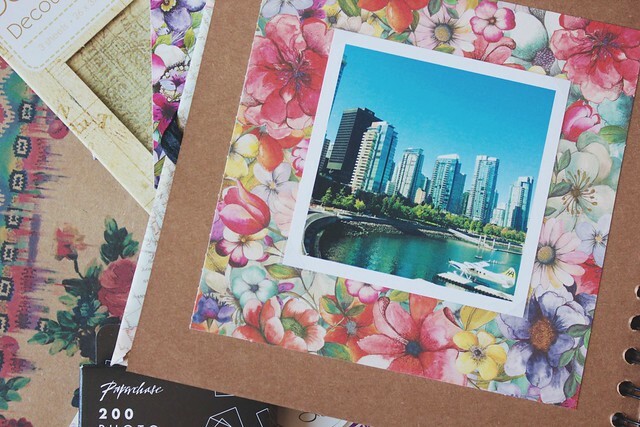 Oh my goodness, your scrapbook is sooo pretty - definite scrapbook goals! 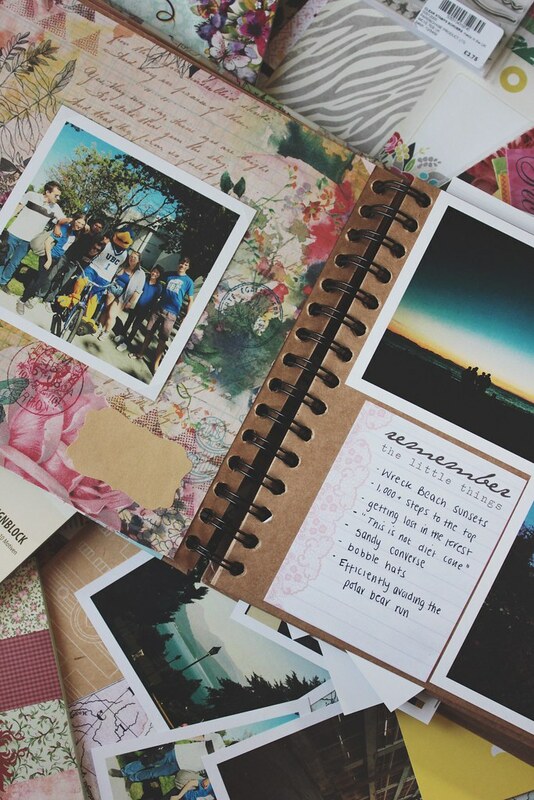 I have started scrapbooks but never carried on with them, this has made me very very tempted to start again! Thank you so much! All that pinteresting is paying off hopefully! I have never finished one either but fingers crossed with this one! It looks so pretty <3 I've tried it a couple of times but I've never actually finished one because I always forget to print photos. I think I'm going to try shorter and smaller ones for specific trips. My Mum did one a couple of years back that spanned a year, I think it was the year she got divorced to kinda of celebrate a new beginning, and it was really cool. Thank you so much! I'm now about half way through and I'm at a sticking point (haha!) because I need to order some specific papers and I don't really have the money for them right now. I've also run out of a lot of supplies - i guess I underestimated how much I would need! I would love to do a mini album though. I've seen so many on Pinterest and they look adorable. Do it! Do it! It's so much fun! YES! i think this is awesome! I love scrapbooks! I love to make them! I've been wanting to start one so badly! 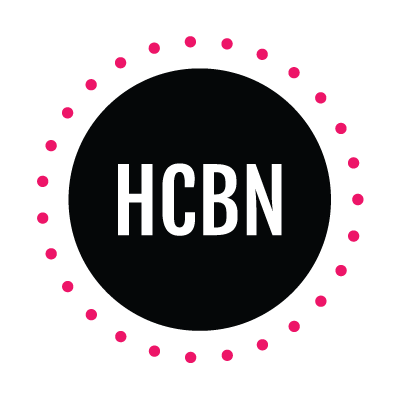 Your project looks amazing! Thank you so much! It's lots of fun! Ahhh this looks so awesome! I need to start working on one asap! You do! It's so much fun! I love scapbooking too! This is going to sound really lame and gushy, but I have a Project Life album that I've been using to document mine and Tony's jouney together until we get married. I think it will be so much nicer to display our wedding photos in this 'love story' fomat, rather than the traditional wedding album. I love scrapbooks! I made a couple but only for friends and family never for myself. I really need to do that! I like how yours is turning out. Thank you so much! I have had a few friends ask if I can help them with theirs now - it seems like once you start you can't stop! Thank you so much! I think there will be an update on Friday! This is the cutest thing ever! Is there a post somewhere with the polar bear run story?! Basically, it's a UBC tradition that at the end of first semester, a lot of people jump into the sea on campus but it's usually about 5 degrees outside and the water isn't any warmer and I went shopping (because nobody got time for that). My friend went, he was in the water for about 20 seconds and got hypothermia. Somehow he still made it to the pub that night... what a lad!